Matilda Asante-Asiedu is currently the Group Head, Personal Banking at Access Bank Ghana Plc. Her portfolio spans, Individual customers including HNI’s, Women and SME customers. Prior to her appointment as Group Head for Personal Banking, Matilda was the Head of Exclusive Banking, overseeing implementation of the Bank’s Financial Inclusion Strategy for Women. She also managed the Bank’s Embassies and NGO’s portfolios as well as Private Banking. 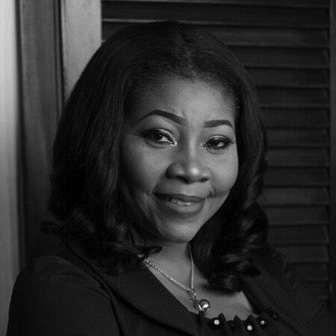 From 2010 – 2015, Matilda worked as Head, Corporate Communications and Brand Management, where she managed Access Bank’s reputation through integrated marketing and communication strategies. Under her leadership, the Bank built enormous brand value and grew to become one of the most respected banks in the industry winning many awards including Best for Corporate Social Responsibility twice and the coveted Bank of the Year award in 2013. She has nearly 20 years experience in Media, Communications and Brand Management. Matilda started her career in Media as a Broadcast Journalist and rose through the ranks to position of Managing Editor and News Anchor at JOY FM, Ghana’s most influential private radio station. For more than a decade (1997 to 2009) Matilda was one of the most influential political journalists in Ghana, shaping political discourse in Ghana’s critical decade of consolidating multi-party constitutional rule, and actively involved in two historic political transitions of power between two political parties. She also hosted prime time Current Affairs Programmes Newsfile on the JOY News Channel on Multi-TV and Agenda on TV3. In line with her current role of pursuing financial inclusion, Matilda collaborates with Women Organizations in Public and Private Sector Institutions, religious organizations and entrepreneurial groups to inspire, empower and connect women to opportunities. Matilda is a fellow of the Wharton School of Executive Management, Les Aspin School for Governance USA, Africa Media Forum and the One World Broadcast Trust in the UK. She holds an MA in Media Studies from the Cardiff University and a Diploma in Communications from the Ghana Institute of Journalism and several diplomas in related fields. 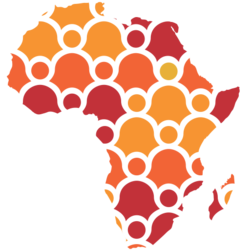 An annual two-day conference that engages policymakers, business leaders and researchers in discussion on solutions to Africa’s most pressing issues.